Our dedicated and professional management team guides our strategy and delivery. ETL Group’s Management Team is comprised of industry and marine professionals with extensive experience in the maritime, offshore marine services, oil & gas, and offshore exploration & development industries. Our diverse experience, both in New Zealand and overseas, allows us to understand what services our clients’ need and to offer effective solutions coupled with the expected commitment to performance and application of safe working practices. Captain Deepak Ahluwalia brings to ETL a wealth of sea command experience from VLCCs (very large crude carriers) and harbour pilotage to FPSO pilotage and operations. His vast knowledge and experience encompasses all areas of supply, distribution, storage and handling of petroleum products. He also has in-depth experience in all aspects of marine survey requirements and is a Registered Marine Surveyor. Deepak has brought the vision, drive and demand for excellence to the birth and continued growth of ETL Group Ltd. Through his guidance ETL is at the forefront of the offshore marine industry in New Zealand and overseas. He is a figurehead in the local Indian community and a passionate community member. He mentors local businesses and entrepreneurs and is a Justice of the Peace. Captain Kirk Mendonsa is a Marine Pilot with extensive experience in Marine and Safety Supervision on FPSO’s and as a Technical Advisor with Maritime New Zealand. Kirk is also responsible for the Company’s Business Development Program. Captain Rajiv Sarin is a Senior Pilot for FPSO operations and for Ironsand vessel pilotage as part of his role as Marine Operations Manager / Senior Marine Pilot. 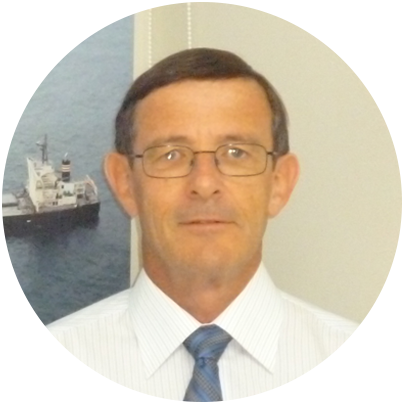 He is a registered marine surveyor and provides a range of support and services to ETL Group’s clients. Richard Kara provides the Company with 35 years waterfront experience in both operations and management. He fills the role of Operations Manager for Logistic Solutions Services (a joint venture between ETL Group Ltd and Offshore Solutions Ltd) for logistic support and drilling materials supervision to Shell Todd Oil Services Ltd. Richard also undertakes a range of marine survey work around New Zealand. Capt. 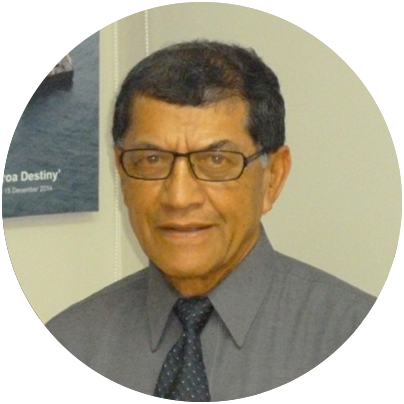 Herman Nazareth brings loads of experience to ETL, having commanded a wide range of Oil Tankers from ULCC’s down to small product Tankers. He is a Marine Pilot that works within ETL Group’s FPSO / Taharoa Ironsands Operations. Captain John McMeeking, brings his expertise and experience as Master on OSV’s / AHT’s and other similar Offshore support vessel’s to ETL. He is an Assistant Mooring Master that works within ETL Group’s FPSO / Taharoa Ironsands Operations. Grant comes to ETL with vast experience managing logistics operations for a comprehensive range of oil exploration companies with projects both on and offshore in Taranaki. Grant is currently seconded to OMV, Tamarind, Shell Todd Oil Services (STOS) working with OMV, Tamarind and STOS as a Shared Services Coordinator. Alistair Morine brings a wealth of experience and diverse background to ETL’s human resources, quality management and health & safety areas. He allows ETL to deliver personnel resources and systems tools that underpin a high level of quality service to our very demanding client base. David uses his strong finance, accounting and management background to support ETL’s operations group across all financial management functions from financial reporting to analysis and planning. Daniel is an experienced Drilling Logistics Coordinator in the oil and gas industry. In addition to this function he provides Marine Survey capability and is currently deployed on a long-term basis to New Zealand Steel Mining Ltd in the role of Load Supervisor for the loading of ironsand slurry onto the export bulk carriers operating out of Taharoa.